Feel like a film star surrounded by the luxury and pampering normally only available to the famous, at LataLiana Estate Villas; your dream Bali Villa. Centrally located in the heart of Seminyak, LataLiana features gorgeous, world class design with a uniquely Balinese twist around every corner, huge open plan living areas – both indoor and outdoor, free form private pools, tropical gardens and fish ponds, vast bedrooms with sumptuous linens and blackout curtains and 26 full time staff to ensure your every need is met. This beautiful estate is just minutes’ walk from chilled out Seminyak beach, with its perfectly instagrammable sunset views and cool cocktails. The nearest main street is jam packed with world class restaurants, fun bars and fashionable shopping. However, you may never want to leave your private Bali villa when you can spend the whole day lounging poolside, having friendly staff bring you delicious cocktails or healthy juices and delicious snacks. The villa’s talented private chefs delight in catering for your every culinary whim, day or night. One of our chef’s specialities is a fully serviced bbq prepared and cooked to order; fantastic meat, seafood or surf’n’turf – cooked just the way you like it! Not only that, expert therapists from one of Seminyak’s best spas; Spa Venus, can provide relaxing massage and manipedis in the privacy of your own bedroom. Lataliana Estate Villas is a beautiful oasis, designed so that it can be configured to accommodate up to 16 adults and 8 children, making it the perfect private luxury villa in Seminyak, Bali for a family celebration, corporate retreat or group of friends holidaying together. The Villas are walking distance from world famous Seminyak beach, one of the best places on earth to watch the sun set with a refreshing drink. During the day this beautiful Bali beach is the perfect place to relax, arrange a surf lesson or even go horse riding! At night it is home to a lively nightlife in a beautiful setting. Look no further for your dream beachside villa in Bali. One of the things that makes LataLiana the best Bali dream villa in Seminyak is that we provide a dedicated butler service and additional concierge service that is available 24 hours a day. The team are always ready, willing and able to help you organise the best massage in Bali delivered to your Villa, a day trip to Ubud rice paddies and much more. Just dial zero on your phone and ask your concierge who will be delighted to assist you. Experience the ultimate in Bali spa pampering and beauty therapy with highly trained professionals from our exclusive Spa Venus available to deliver expert beauty and wellness treatments to you in the Villa on request. We offer a range of effective holistic treatments using completely organic, locally sourced products at what is arguably the best Spa in Seminyak, Bali. Lataliana Villas have their own fully equipped professional kitchen, staffed by professional chefs who can provide fabulous food. Choose from an extensive menu of delicious breakfasts, pool snacks, al fresco lunches, sumptuous banquets and late night snacks for all our guests. Our chefs are renowned for their speciality of fully serviced in house BBQ feasts; meat, seafood or surf’n’turf with lots of in-house sambals and sides – these BBQs are not to be missed! All our food uses predominantly locally sourced, organic, plant based produce and can cater for Vegan, Vegetarian and other dietary requirements on request. Lataliana Villashave theirown fully equipped professional kitchen, staffed by professional chefs who can provide fabulous food. Choose from an extensive menu of delicious breakfasts, pool snacks,al fresco lunches, sumptuous banquetsand late night snacks for all our guests. Our chefs are renowned for their speciality of fully serviced in house BBQ feasts; meat, seafood or surf’n’turf with lots of in-house sambals and sides –these BBQs are not tobe missed! All our foodusespredominantly locally sourced, organic, plant basedproduce and can cater for Vegan, Vegetarian and other dietary requirements on request. LataLiana Estate consists of some of the most superb Bali villa accommodation with facilities and entertainment for anyone, no matter their age or interests. Our concierge can organise activities for guests of all ages if you desire. We love having families stay and can supply extremely reliable, caring nannies should they be required. The private pool in your villa in Bali is meant to be enjoyed by guests day and night, making us one of the premier Bali luxury villas available for your awesome holiday. The Villa and its grounds are one of the most stunning settings in Bali for villa weddings and celebrations of any kind. Our Events Team can work with you to ensure a memorable and beautiful special day living the Bali dream in your own private villa in Seminyak. We are experienced at organising Weddings, Corporate Events and Family Parties and would love to help you organise your special day in Bali. Lataliana is walking distance from brand-new Double Six Rooftop and downstairs, the amazing Plantation Grill featuring some of the best steaks and seafood in Bali, Moonlight Kitchen & Bar at the Anantara Hotel, the colorful lights and character of Dyana pura, and Opium for night owls. LataLiana Villas made the perfect base for our recent trip to Bali. 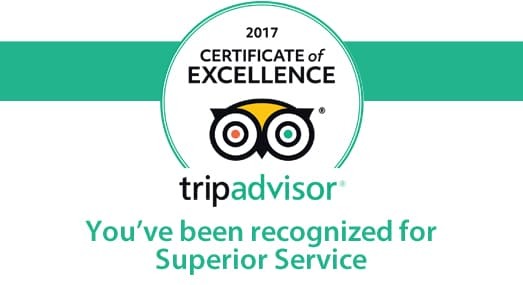 They were incredibly helpful before and during our stay, taking marvelous care of our big group of 15 adults and 10 children/infants. We stayed at Lata Liana with our family in March and had a wonderful holiday. It was our 10 year anniversary and we arranged a vow renewal ceremony in the villa which was beautiful. The staff were brilliant and made our stay. Everyone was so helpful and professional and generous. We will definitely be back. The staff, and villa were amazing, really good location as well! I am so happy we stayed there. The villa was central to everything and close to restaurants as well. Their menu at the villa was also really yummy!